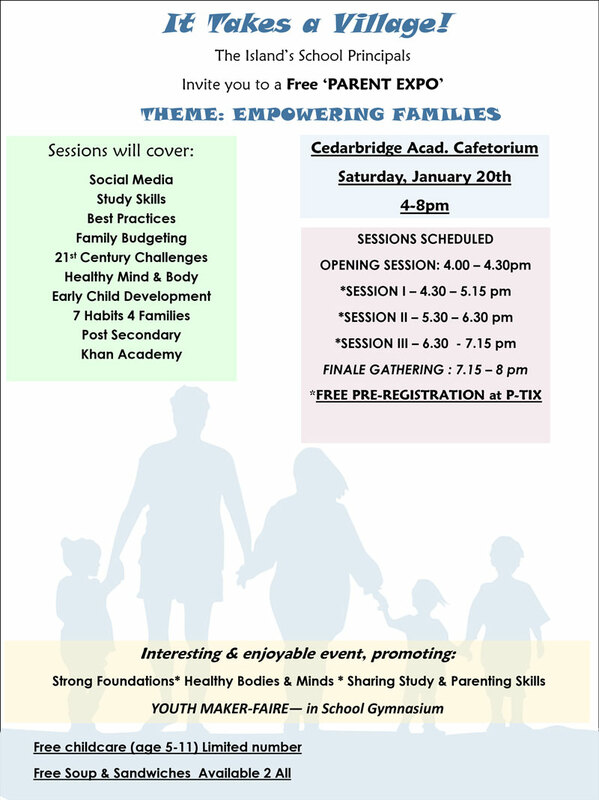 A free ‘Parent Expo’ – with the theme Empowering Families – will be held on Saturday, January 20th from 4pm – 8 pm at CedarBridge Academy’s Cafetorium. 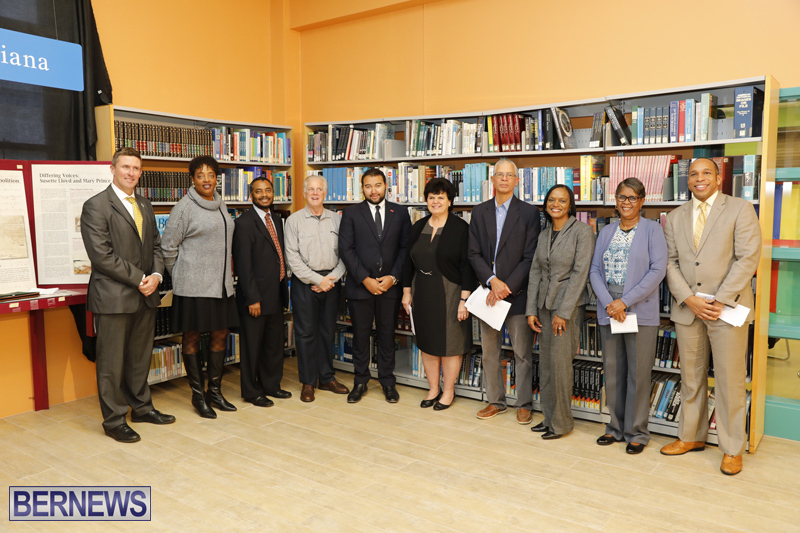 A statement said, “As senior educators charged with the principal responsibility for various schools across the island in both the public and private sectors, we have moved outside of our proverbial boxes, collaborating with each other over the past few years, with the assistance of facilitator, Glenn Fubler. This move came out of the recognition that ‘learning’ is an on-going process and that we humans learn from each other. “These first steps have assisted us professionally, in our particular roles. However, we also recognize that in order to leverage the potential of our whole island and its children that we need to involve the entire village in collaboration. The most important component in that regard of course, is the parent – a child’s ‘first teacher’. “In light of this we have organized a free ‘Parent Expo’ –with the theme Empowering Families – to be held on Saturday, January 20th from 4 – 8 pm at CedarBridge Academy’s Cafetorium. “We have 15 diverse workshops and anyone can select two of these, at no cost, through the generosity of a variety of community stakeholders. These workshop sessions are geared to increase our community’s collective awareness of how we all can play positive roles promoting the development of every child. “In addition to enjoying two workshop options, attendees will have the opportunity to take in the displays and interactive presentations of the Youth Maker Faire in the school’s Gymnasium. Families will gain insight into a variety of offerings of some of the outside-the-box extracurricular activities that are available, all geared to the whole development of young people.